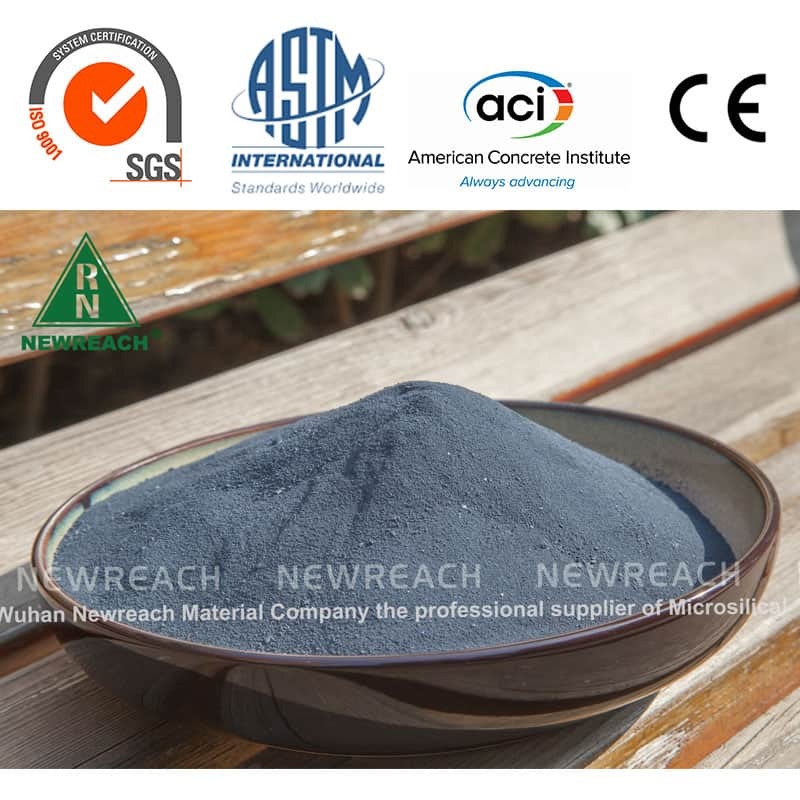 Microsilica is a byproduct of producing silicon metal or ferrosilicon alloys. 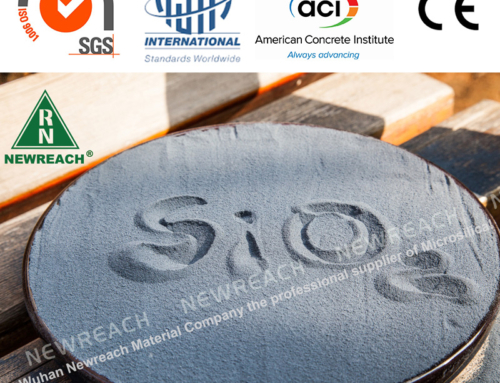 One of the most beneficial uses for Microsilica is concrete. Because of its chemical and physical properties, it is a very reactive pozzolan. Concrete containing Microsilica can have very high strength and can be very durable. Placing, finishing, and curing silica-fume concrete require special attention on the part of the concrete contractor. Silicon metal and alloys are produced in electric furnaces. The raw materials are quartz, coal, and woodchips. The smoke that results from furnace operation is collected and sold as Microsilica. 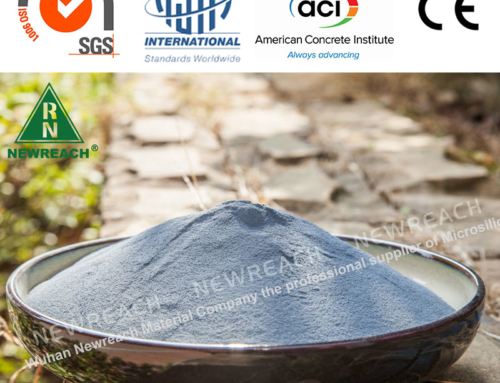 Perhaps the most important use of this material is as a mineral admixture in concrete. 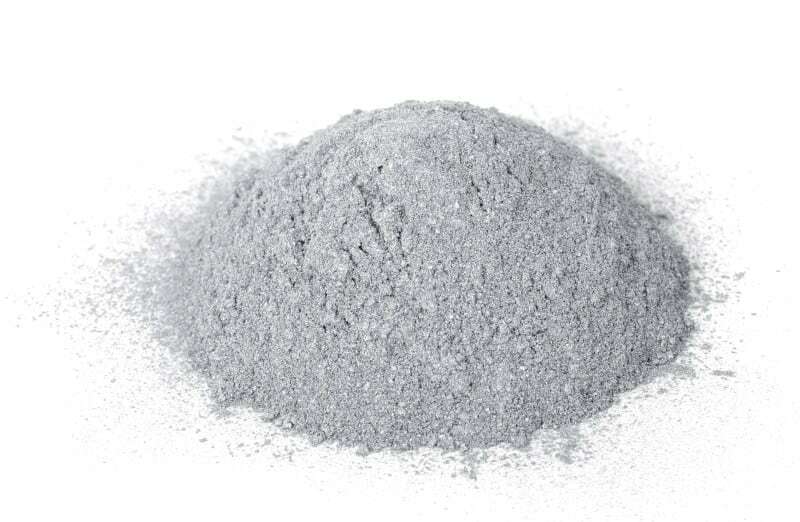 Microsilica consists primarily of amorphous (non-crystalline) silicon dioxide (SiO2). The individual particles are extremely small, approximately 1/100th the size of an average cement particle. 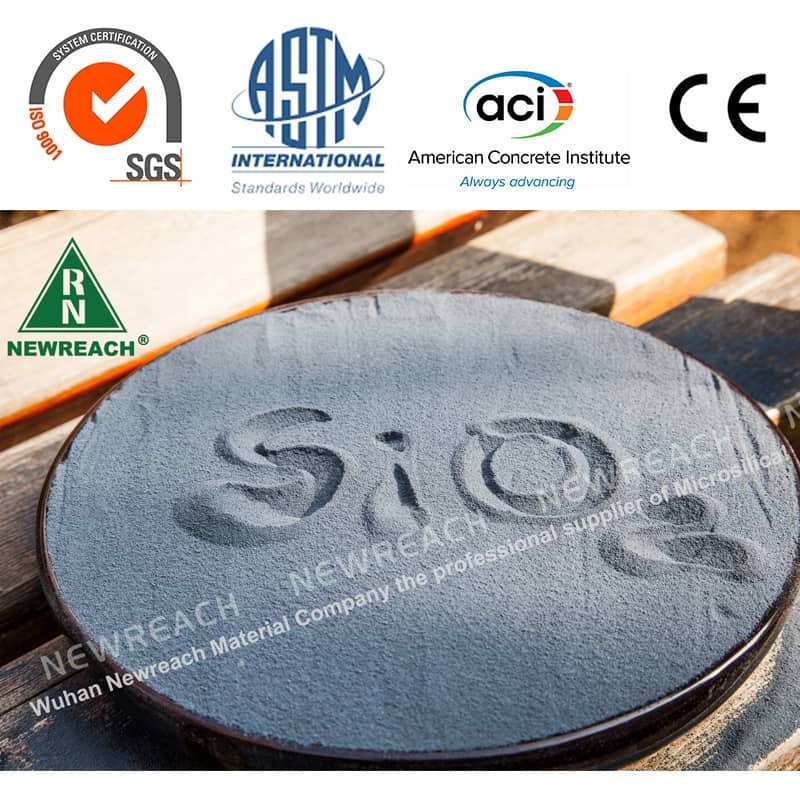 Because of its fine particles, large surface area, and the high SiO2 content, Microsilica is a very reactive pozzolan when used in concrete. 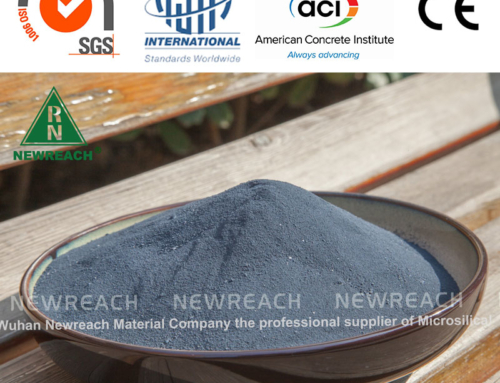 The quality of Microsilica is specified by ASTM C1240 and AASHTO M 307. High-strength concrete is a very economical material for carrying vertical loads in high-rise structures. Until a few years ago, 6,000 psi concrete was considered to be high strength. Today, by using Microsilica, concrete with compressive strength in excess of 15,000 psi can be readily produced. The structure shown at the above right used silica-fume concrete with a specified compressive strength of 12,000 psi in columns reaching from the ground through the 57th story. The greatest cause of concrete deterioration in the US today is corrosion induced by deicing or marine salts. Silica-fume concrete with a low water content is highly resistant to penetration by chloride ions. More and more transportation agencies are using Microsilica in their concrete for construction of new bridges or rehabilitation of existing structures. Silica-fume concrete does not just happen. A specifier must make a conscious decision to include it in concrete to achieve desired concrete properties. 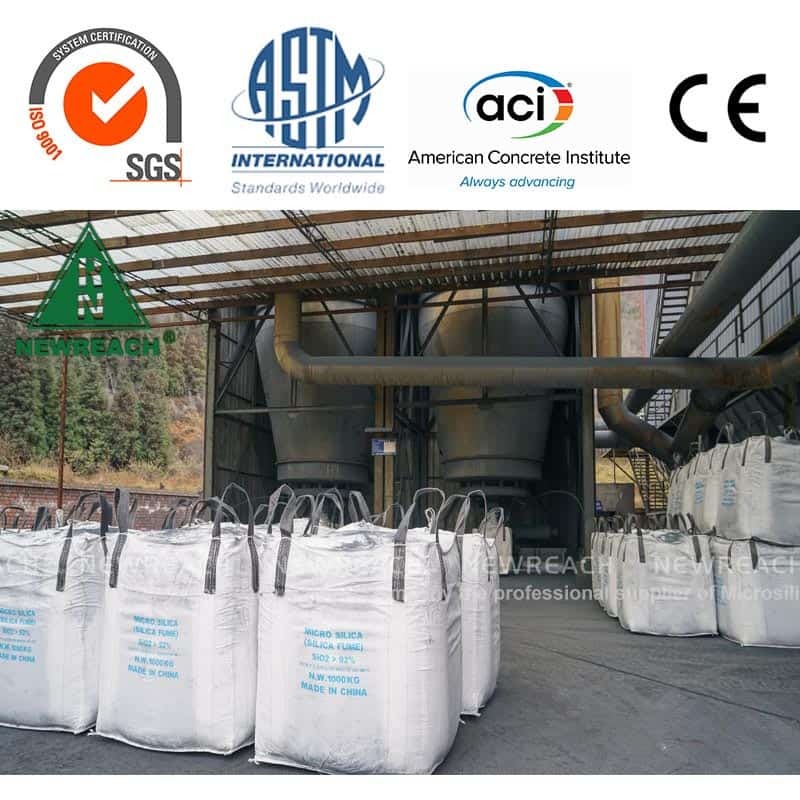 Assistance in specifying silica-fume concrete for high strength or increased durability can be obtained from the SFA or from major admixture suppliers. 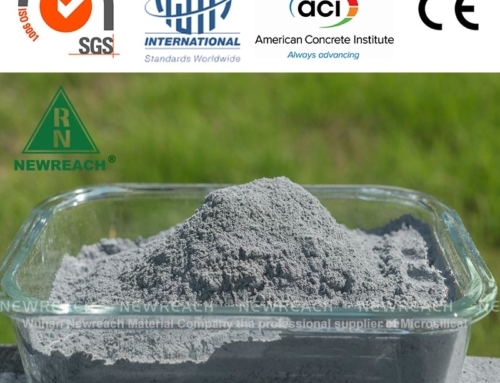 microsilica in concrete is available in wet or dry forms. It is usually added during concrete production at a concrete plant as shown in the photo. 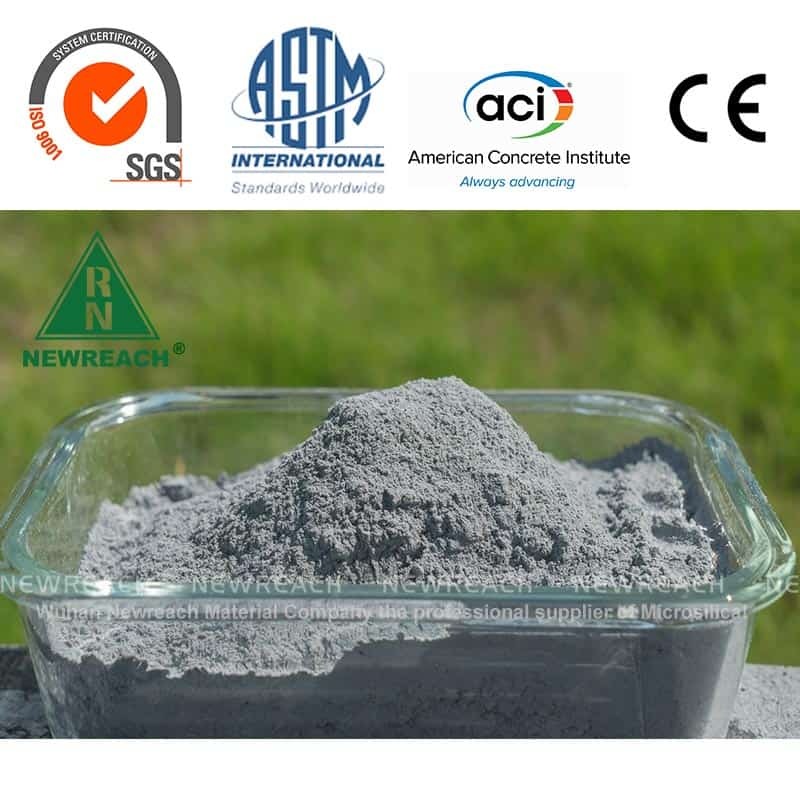 Microsilica in concrete has been successfully produced in both central-mix and dry-batch plants. Assistance is readily available on all aspects of handling Microsilica and using it to produce consistent, high-quality concrete. 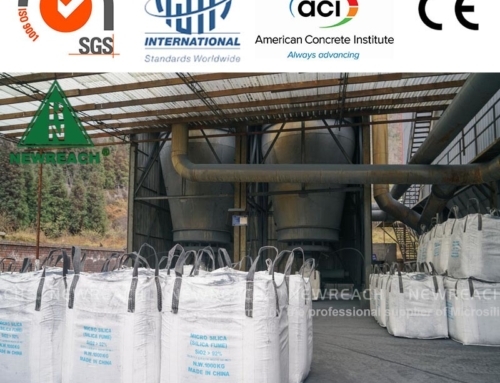 microsilica in concrete should be transported, placed, finished, and cured by following the good concreting practices outlined by the American Concrete Institute. Flatwork containing Microsilica concrete generally requires less finishing effort than conventional concrete. The photo shows the “one-pass” finishing process in which the microsilica concrete is placed, consolidated, and textured with little or no waiting time between operations. 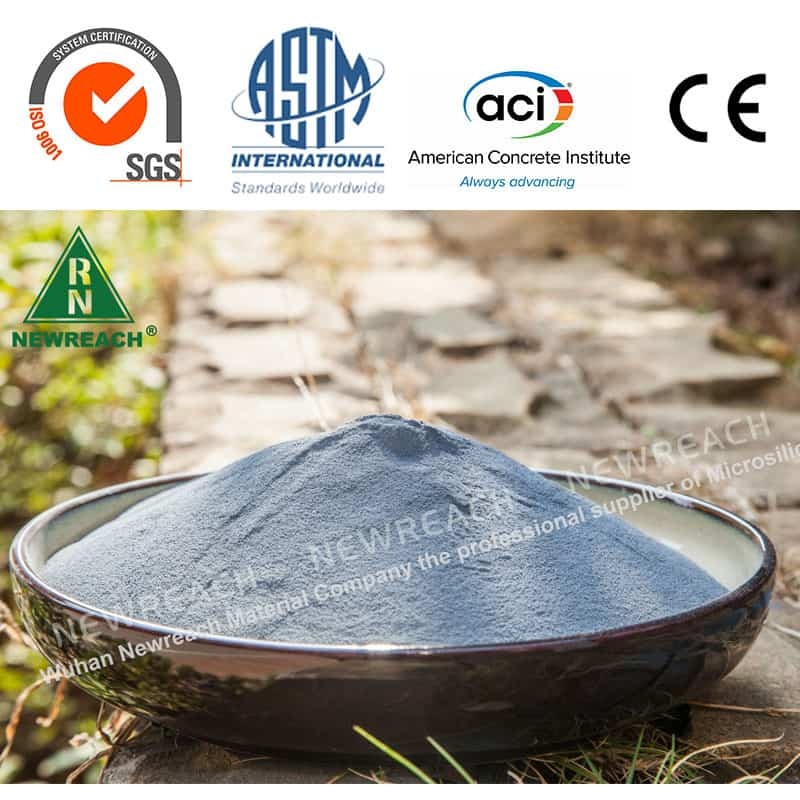 To gain the most benefits from using Microsilica, the concrete must be cured effectively.